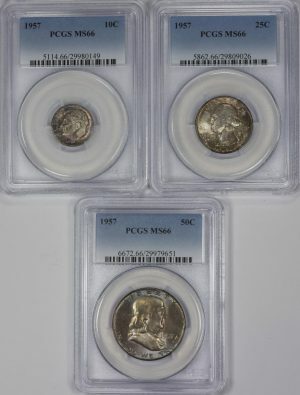 1957 Silver Set, PCGS MS66, 10C, 25C, 50C, Super Color! Proof Like 1943-S Steel Lincoln Cent Very Unique Surfaces! PCGS Certified MS 66!